GBP has been acting weak against the strong USD since last week and it seems that this pressure continues for this week as well. 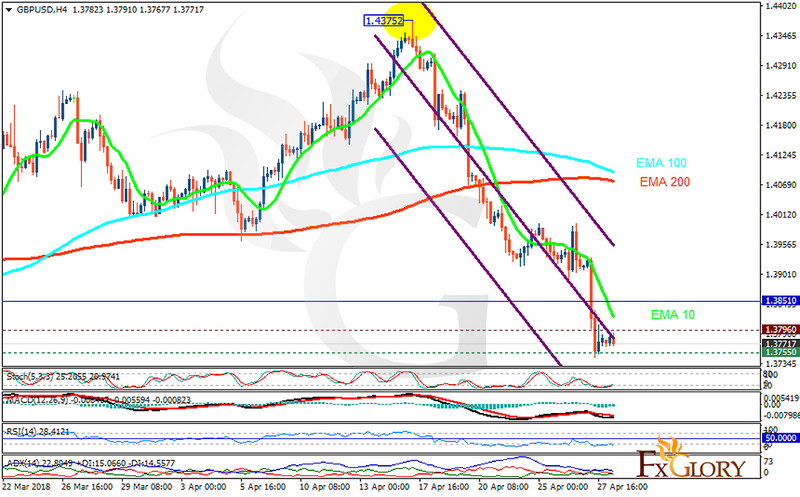 The support rests at 1.37550 with resistance at 1.37960 which both lines are below the weekly pivot point at 1.38510. The EMA of 10 is moving with bearish bias in the descendant channel and it is below the EMA of 200 and the EMA of 100. The RSI is moving in oversold area, the Stochastic is moving in low ranges and MACD line is below the signal line in the negative territory. The ADX is not showing any clear signals. The break below 1.37 level will drag the price down towards 1.35.